Earlier this year, a UK based answering service conducted a research study on consumer perceptions of business call handling. 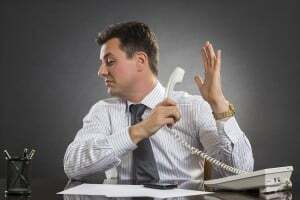 According to the research, 55% of respondents stated that they would take their business away from companies that relied on call automation instead of a real person. Even more said that they would choose another business rather than speak through an automated call handler.